Originated in Asia, the abacus is now globally used as a tool in teaching the numeral system and it is a symbol of mathematics and calculus. This colorful and playful pair of cufflinks can be great gift for your math�s teacher, your friend who happens to be a fan of numbers or your bank accountant. 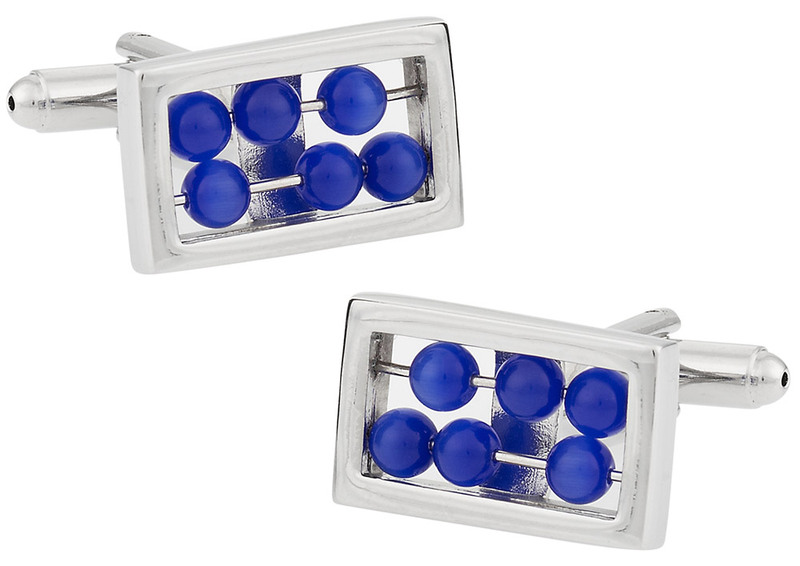 Its 3/4" x 1/2" dimension features a rectangular shaped cufflink with blue glass stones attached to the stainless steel mount. The set is backed up by a great product warranty and also comes in a hard-sided gift box. This is a very fun take on a practical instrument. This cufflink would be a perfect gift for someone who works with money. The ble in the piece looks very much like jewelry.